Off-terms should be used for self-care. 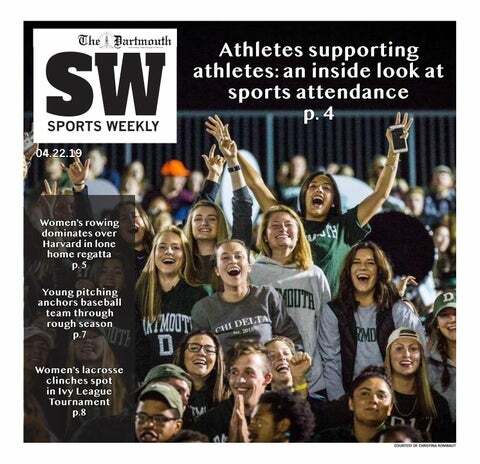 After completing my first year at Dartmouth, taking a step back from campus life was almost as overwhelming as plunging into it. Life back in the “real” world moves slowly, particularly if one’s off-term does not include an internship, a research grant or any other educational endeavor. Friends go home at the day’s end, and no regularly scheduled club meetings fill up one’s evenings. Students find themselves with a lot of free time and little idea of what to do with it. During on-terms, work must always get done and hobbies must be cast aside. But students must ask themselves: what are hobbies? How did they fill their time before homework staked its claim on their calendars? Do they identify as something other than “student?” What are the unique personality traits that make up the person who got accepted into Dartmouth in the first place? After 10 long weeks of knowing exactly what to do and when to do it, students must figure out what it is they actually want to do. One thing that can help is sitting in solitude for at least one hour a day. Gathering places such as dorm “common rooms” do not exist in the outside world. Friends cannot be relied on to predictably visit the same spaces and provide distraction. No longer determined by class time, each persons schedule exists independently of friend groups. In the absence of others, students should spend time meditating on any personal activity that can be freeing from the dull mind loop of boredom. But without a crushing workload, the whole hierarchy comes crashing down, and what remains becomes a meaningless mess where every activity is of equal worth. So what if one chooses to pick up a book or head off on a hike? It doesn’t matter, because there is no “to-do” list of items to accomplish. Students should forget about whether or not the last hour of life helped them get a step closer to medical school, and instead ask themselves whether finishing a book for pleasure made them content. Lastly, students on their off-terms should just “take it easy.” Time during an off-term lacks structure, which passes either in flashes that steal hours away, or in eternities that slowly trudge along. One could take a five-mile hike, clean a living space or even paint a self-portrait. Maybe scrolling complacently through apps on a phone is fine too. It’s all good. Every hour does not need to be filled with an accomplishment or designated to some specific activity. So long as one remembers that the internet can be left alone and re-explored later, it’s okay to not really do anything once in a while — as long as “once in a while” does not happen every day. Instead of using boredom as a crutch, students need to use free time to get in touch with themselves. Soon, college friends will regroup, classes will start again and school work will clutter schedules. Enjoy the free time while it lasts.